1998 brought electro back to the floors, no matter if new electro, retro, overground or underground and everything between. techno dj�s playing electro tunes, electro b-sides on drum�n�bass records, reissues of classic tunes, compilations, media-hypes a.s.o. 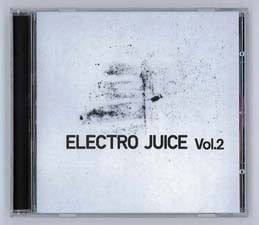 the 1996 ELECTRO JUICE compilation, on sabotage rec. was the first european sampler with detroit stars like ECTOMORPH, ULTRADYNE, LE CAR and probable part of starting all this. For 1999 the fresh new label from SABOTAGE COMMUNICATIONS called SUBETAGE RECORDS have prepared a second volume with fresh flavas for the next century.